Bob Sams has been the director of Communication Services and Information Technology and Chief Information Officer for the University of California's Division of Agriculture and Natural Resources (ANR) since 1995. ANR Communication Services and Information Technology (CS) is responsible for producing, distributing, and marketing peer-reviewed educational materials and publications for ANR scientists and educators at the Berkeley, Davis, and Riverside campuses; nine Research and Extension Centers; and more than fifty county offices. CS helps more than 650 Agricultural Experiment Station scientists, 240 Cooperative Extension Advisors, and 150 Cooperative Extension Specialists discover, develop, and deliver information to California families, communities, and agricultural and natural resources industries. CS is also responsible for applications development, computer support, and network operations for county offices, research and extension centers, and other off-campus locations. CS also provides Web support and media services, hosts more than 400 Web sites, and provides value-added professional communications consulting and expertise to ANR academics and staff. Communication Services publishes and distributes more than 1200 educational titles in every media to every state in the US and to more than 20 foreign countries. Sams holds bachelor's degrees in agronomy and American literature from Penn State University and a master's in folklore from Indiana University. His agricultural career began on a large cash grain operation in northwest Indiana in 1975. After earning his undergraduate degree in agronomy in 1978, Sams worked as farms manager for a subsidiary of Hanover Brands, Inc. in southeast and central Pennsylvania. He was responsible for farm operations on more than 3000 acres producing processing vegetable, forage, and cash grain crops. He also managed the company's 800-head feedlot operation. In 1982, Penn State's College of Agricultural Sciences hired Sams to be the superintendent of farm operations and service. There, he was responsible for crop production, research support, and facilities management. In 1986, he moved into administration as assistant to the dean for governmental and external relations. In that role, he was responsible for liaison with state and federal elected officials, external advisory groups, and direction of the news and public relations activities of the college. 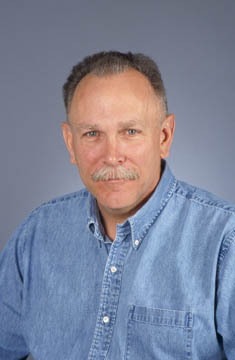 In 1990, he became director of Agriculture Information Services at Penn State. Bob and his wife Judith live in Davis, California and have two adult children. He has been a member of ACE since 1994.